The Eucharist is the central action of a parish’s daily life. 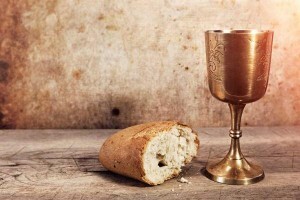 All our churches celebrate the Eucharist (Mass) each day and all times are found on the “Newsletter” section of the website or the “Times of Mass” section of this site. In the Catholic Church, we take great care to prepare those who are celebrating the Eucharist for the very first time. In our diocese, we recently introduced a diocesan-wide programme of preparation for our parishes and schools and so all our children, in whatever school or parish they live in or attend, will use the same preparation course for preparing for their First Confession and First Holy Communion. While we have this new Sacramental programme being used throughout the diocese, each parish and school makes it own arrangements for preparation. Here in our own area of North Tyneside, we have agreed that the children who will celebrate their First Confession and Holy Communion will be in Year 4. This has been agreed throughout our whole Deanery and Cluster of Parishes and it means that all our parishes and schools are doing the same work with the same year group of children. This, however, does not prevent older children from taking part in this course, if for whatever reason they previously missed earlier preparation. In the new programme, children’s catechetical sessions are held in our parishes at times arranged by the parish priest and catechists and this is then followed up in school by our class teachers and RE teachers. An integral part of this chain of preparation are our families and the homes of the children in our parishes. The intention is that the parish works closely with both the school and with the young persons family in this form of preparation. Each link is so important in the life of preparation for the sacraments. it is important that you are closely linked to the school and the parish during this time of preparation and so we look forward to welcoming you along to the meetings and sessions that will be announced by your parish priest. The video below shows the power of the Eucharist on the streets of New York City.